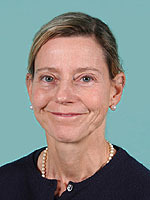 Gail Davidson, MD received her undergraduate degree from New York University and Medical Degree from Jefferson Medical College in Philadelphia. Following her internship with Milwaukee County General Hospital and residency with the Medical College of Wisconsin, Dr. Davidson completed her Rheumatology fellowship with Downstate University Medical Center in Brooklyn. Prior to joining Hawthorn Medical Associates, she was staff physician with both the Daniel Webster and the Montefiore Medical Centers. Board Certified for Rheumatology and Internal Medicine, Dr. Davidson is a member of the American College of Rheumatology and an Associate with the American College of Physicians.